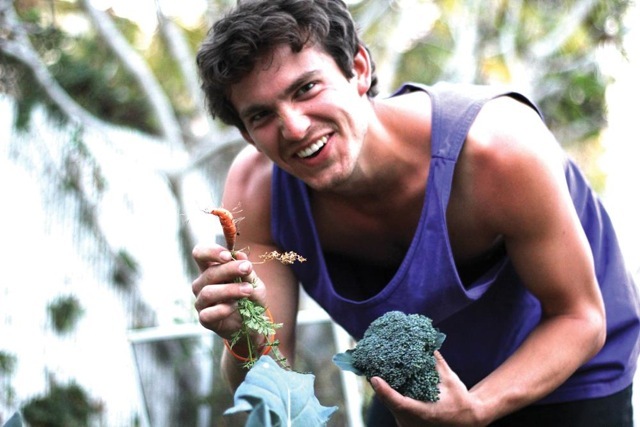 Noah Donnell-Kilmer is a FoodCorps service member working with the Garden School Foundation. He is the only FoodCorps member in Los Angeles and works in two school gardens teaching cooking and gardening to students in pre K-6th grade. In his spare time, Noah enjoys cooking with friends, playing unhealthy amounts of Ultimate Frisbee, camping, and making occasional Santa Barbara Farmers Market trips with Out of the Box Collective. It is a daunting task to sum up a full year of work with FoodCorps, especially a year as rich as the soil I work with. FoodCorps is a national non-profit where community leaders band together to educate youth in healthy food practices. While this service takes many different forms around the country, mine was as a part of the Garden School Foundation, where I taught within the Pasadena and Los Angeles Unified School Districts. The Garden School Foundation has developed a comprehensive garden curriculum over the last seven years at our flagship 24th Street Elementary garden site. 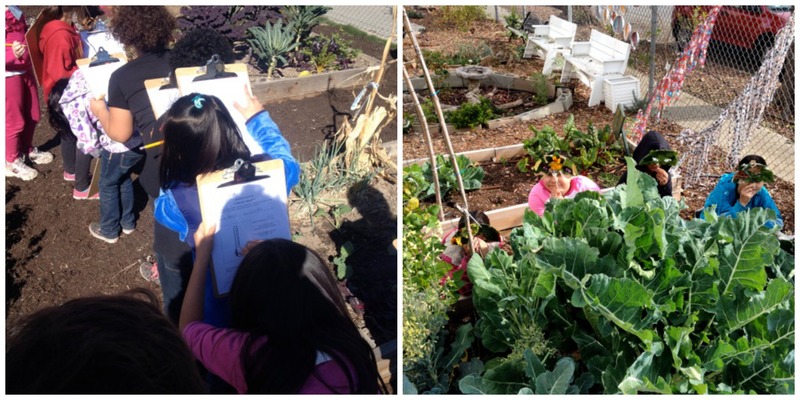 Our garden curriculum uses the gardens to teach grade appropriate science standards in a hands-on manner. Cooking lessons focus on four themes: eating in season, eating foods that make us grow up not out, eating the rainbow, and turning regular foods into super foods. While my schedule was very predictable (gardening classes for two weeks, cooking classes for two weeks), my day-to-day was anything but. Recipes and garden lessons changed as the seasons changed. In September we made heirloom tomato salads and watermelon agaua fresca. In January we made a kale waldorf salad and bibimbap with garden grown carrots, cabbage, and radishes. It wasn’t just the change of seasons in that gardens or the recipes that made this “work” varied and ever-changing. Rather, the growth, curiosity, and excitement of the children made everyday a different adventure in the local food world. I will be honest, this was definitely a year of growth and learning for me as well. It was my first year out of college, so just waking up before 10 a.m. was a feat in and of itself. But now there were bills I had never heard of, living with four other people in the same boat, and this new full time job where I was calling many of the shots. At times, there were a few missteps along the way. Like a watermelon gazpacho recipe, where the ingredients just didn’t combine well and I had to put my best “yummy!” face on while trying to convince the class that it was tasty. Or the many times I added too much cumin, jalapenos, chili flakes, bleu cheese, onion, or other harsh flavor to a particular dish. Finally, there were times when I felt overmatch by classes trying to wrangle unruly students around the garden. I think anyone will tell you that outdoor classroom management is much different from indoor classroom management. 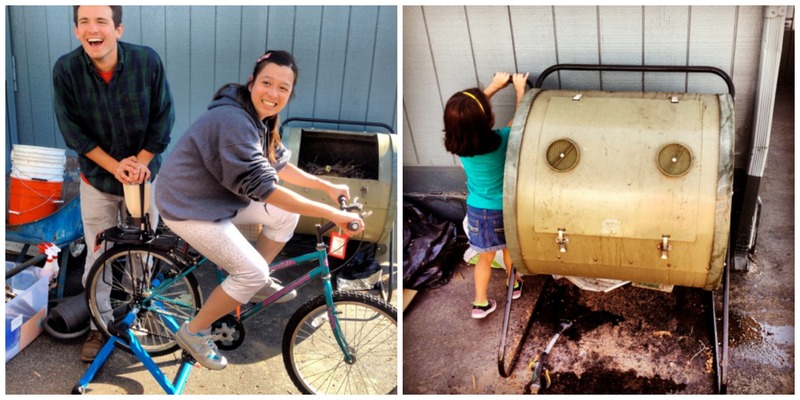 This may seem like the year was a confused, crazy, experiment, but I consider it amazingly successful. Students are always telling me about the gardens and fruit trees they are growing at home and asking me how they can improve them. These are the moments that keep me motivated and tell me that I’m not just washing hundreds of little bowls and forks at the end of the day for nothing. At times I felt like a magician, convincing students to try new fruits and vegetables in foreign combinations. Most of the time they have loved the new food, so they know now to trust Mr. Noah’s food. Many of the students just weren’t exposed to the possibilities of healthy, local food, but once they began to think about what they could do at home and at school, it is amazing to see what was conjured up. I’ve had the privilege of being a part of the growth of our next generation of foodies, chefs, farmers, gardeners, policy makers, food service directors, and business people. The possibility that just one of them might remember something from one of my lessons is what drives this work. 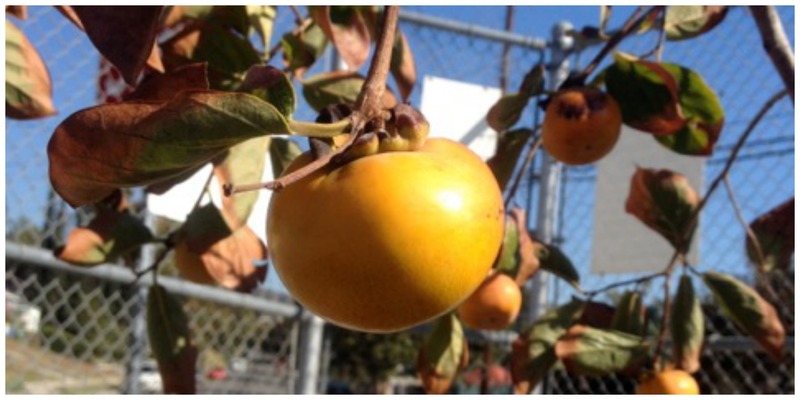 That, and the big smile and two thumbs up that come from a student’s first taste of a persimmon.